Federal Polytechnic Idah School Fees Schedule for 2019-2020 Academic Session is Out. This publication is to inform both Full-Time (NDI, NDII, HNDI & HNDII) students and Part-Time (NDI, NDII, HNDI & HNDII) students of the Federal Polytechnic Idah (FPI), Kogi State that the management of the institution has released the amount they are to pay as school fees for the 2019-2020 academic session. 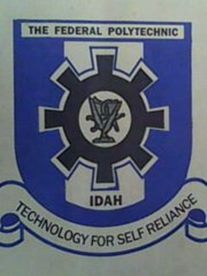 See This: Fed Poly Idah Acceptance Fee & Registration Procedure – 2018/2019 [New Students]. See also: Federal Poly Idah Returning Students Registration Procedure – 2018/19.